The urban jungle feels so very constricting. 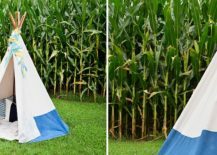 It can be even more suffocating for kids at times with few avenues to express themselves and natural escapes becoming such a rarity. 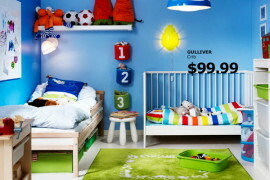 There is more of the same everywhere they look and even the playroom sometimes feels far too sterile and bring. 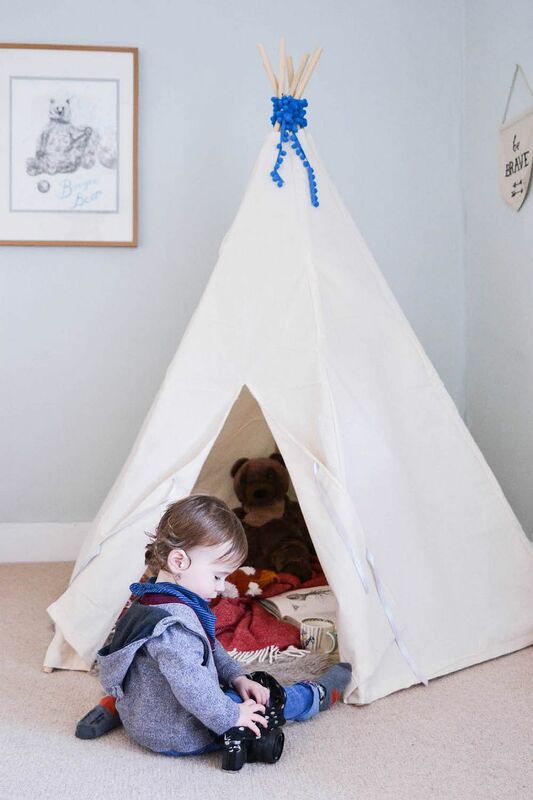 This is when a lovely teepee can come in pretty handy. 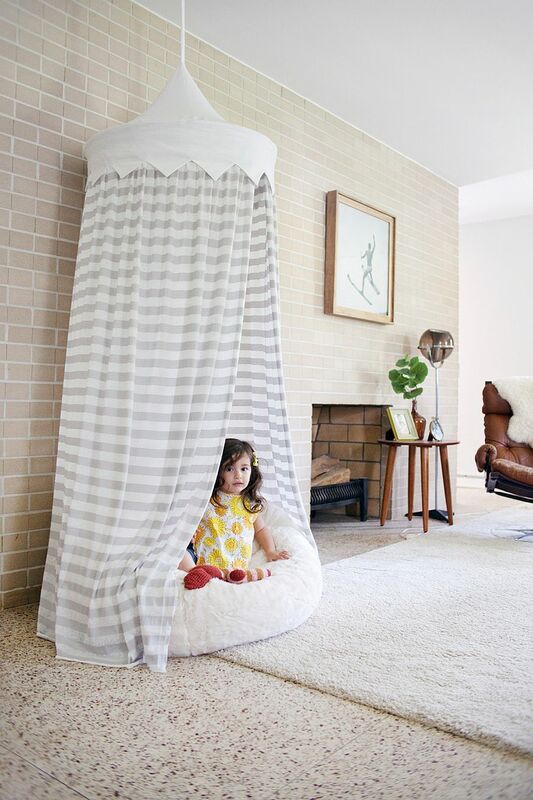 Kids love to escape the world around them. 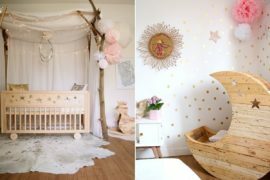 They also have a very active creativity that allows them to shape a world of their own. 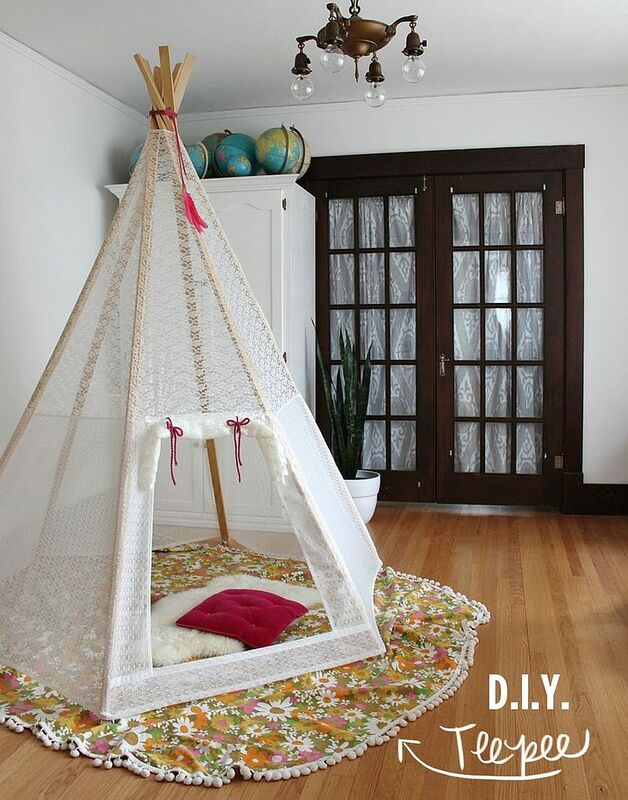 All your little one needs is a private sanctuary where he or she feels they can express themselves full. 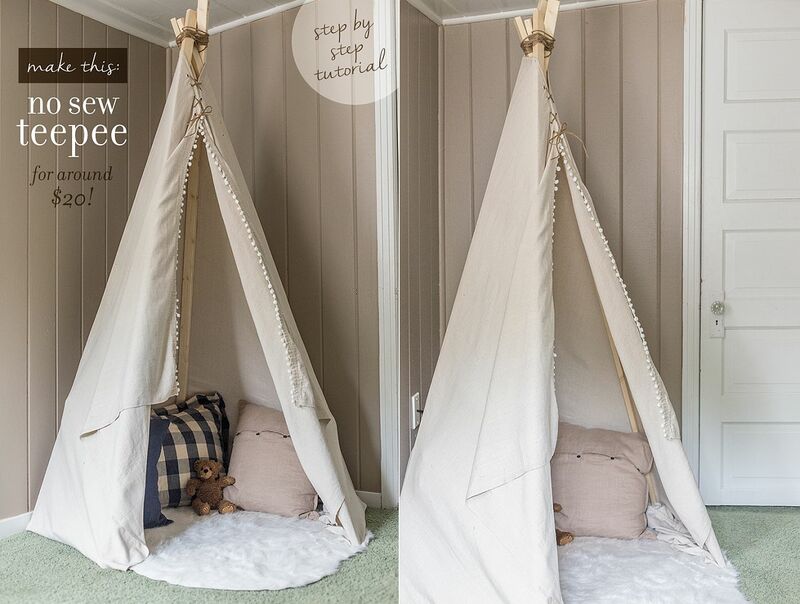 The teepee provides this perfect niche. 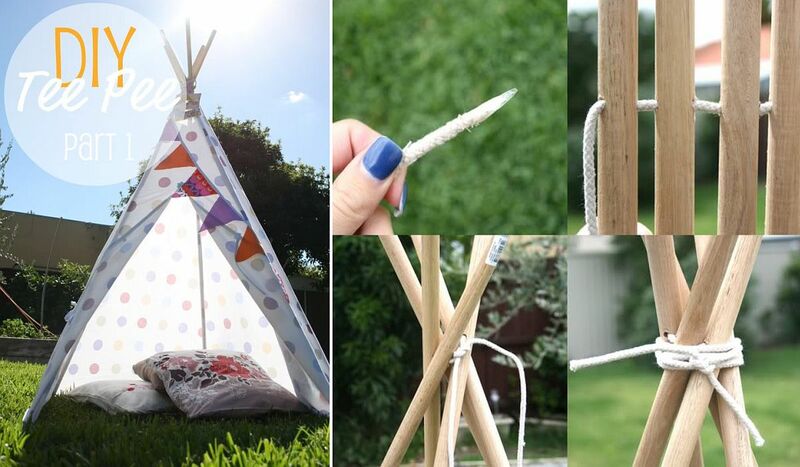 A modern DIY tepee takes many different shapes. 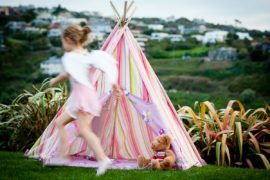 There are times when it is a simple old cloth that has been wrapped around a few poles and then there are occasions when a hula hoop tent acts as a substitute for the classic teepee. 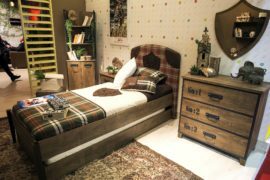 The direction you choose largely depends on the materials that you already have a trip to the attic or garage should make your choice even clearer! 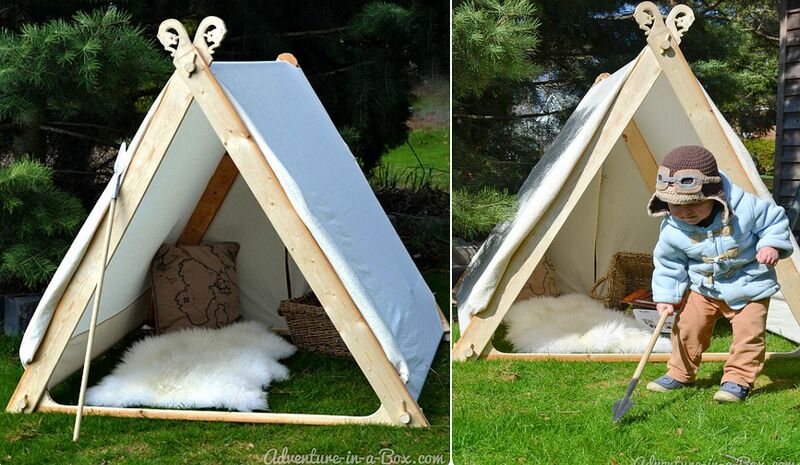 The DIY wooden teepee tent is a bit more work than the usual teepee that takes no more than 30 minutes to craft. 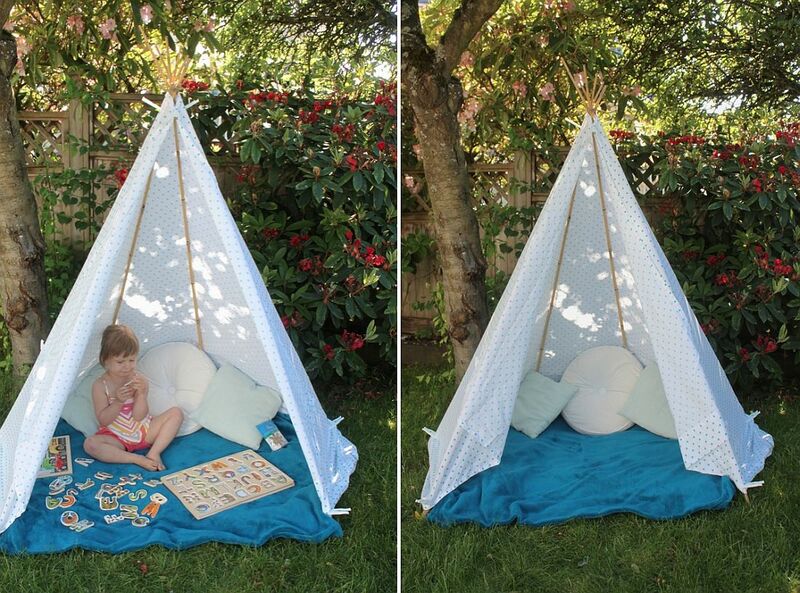 But it is also lot more durable and far more attractive. 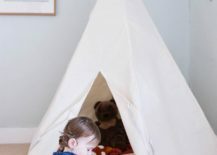 A no-sew teepee with color and pattern is a popular choice among homeowner and this one can be crafted in no time at all. 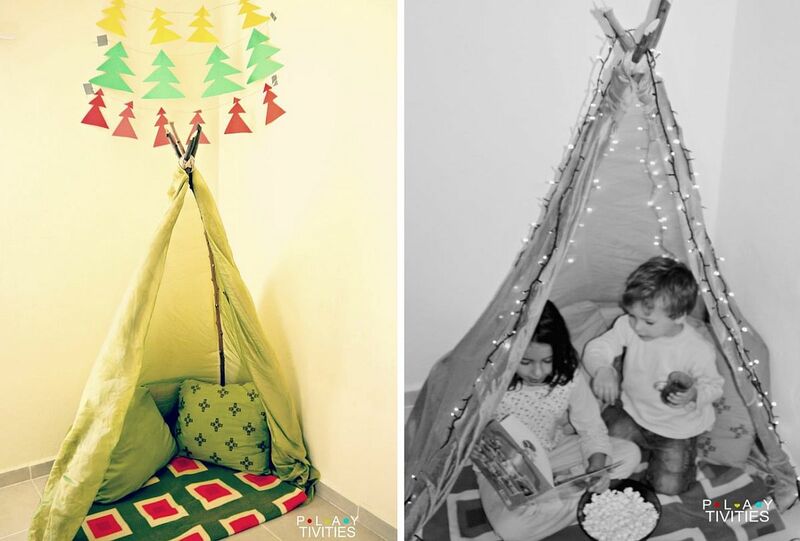 Turning the kids’ bedroom corner or even a corner in the hallway into play area, these teepees come in pretty handy as long summer holidays draw nearer. 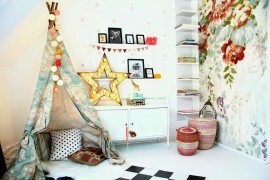 Throw in a plush rug and a few throw pillows and you are all set. 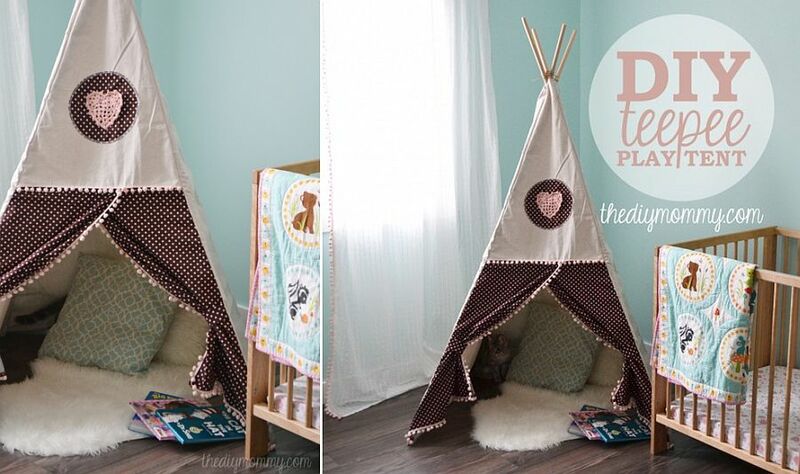 Giving the classic teepee your own personal twist is all about finding the right inspiration. 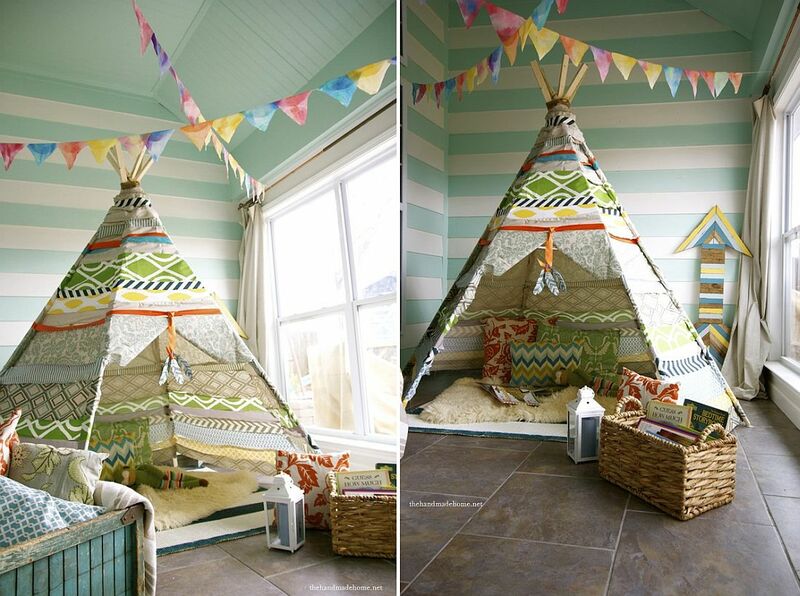 A teepee with unique pattern and motifs always makes a visual impact. 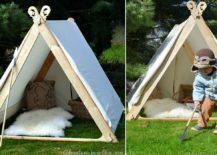 But you can go a step further by borrowing the design from a Viking play tent and incorporating it into your teepee for a ore exceptional play area. 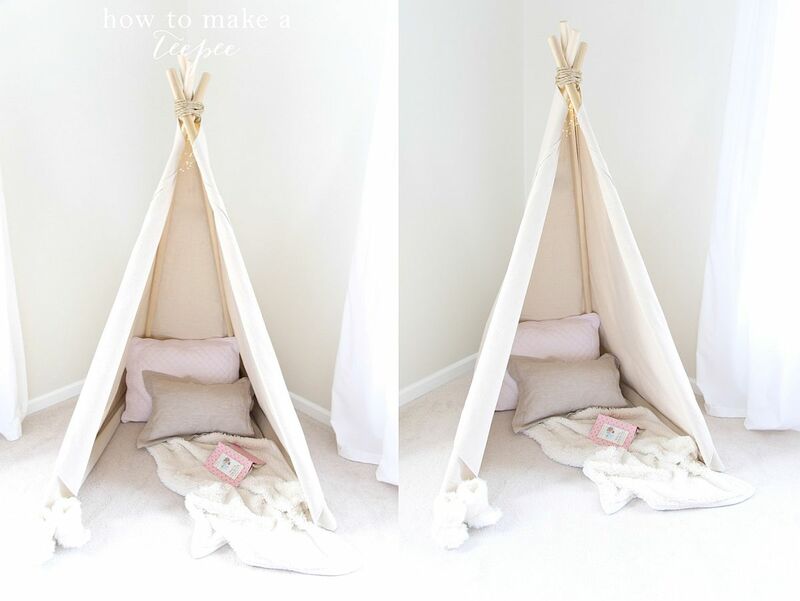 The delicate lace teepee is another wonderful choice for the girls’ room while no-sew outdoor teepee can make your picnics to the park even more fun! 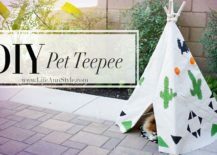 The good thing about DIY teepees is that they can be even taken outside and if you have a small garden, deck or even balcony, the teepee can transform it into a cool play area. 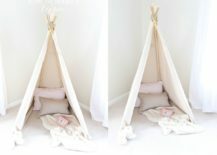 The outdoor teepees need not be a whole lot stronger than the ones you craft for the playroom inside, as long as you do not plan on leaving them there. 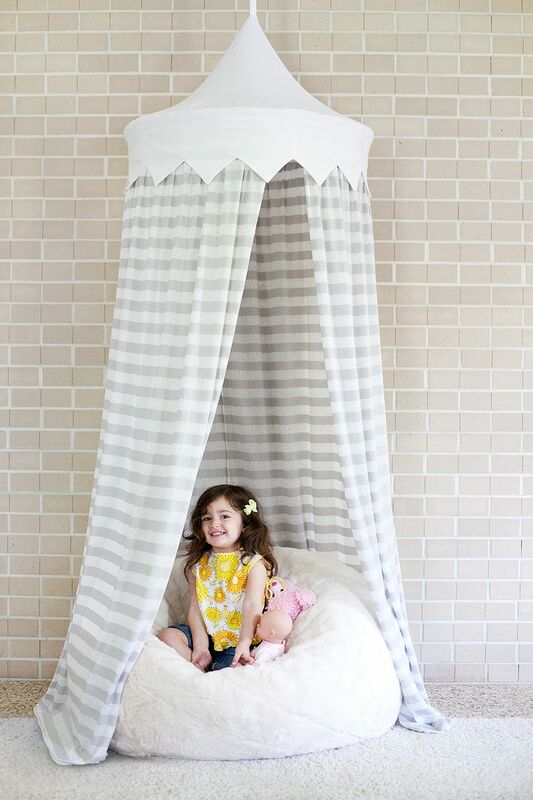 With chic patterns, multiple colors and smart, string lighting, this comfy escape can seem even magical at times. 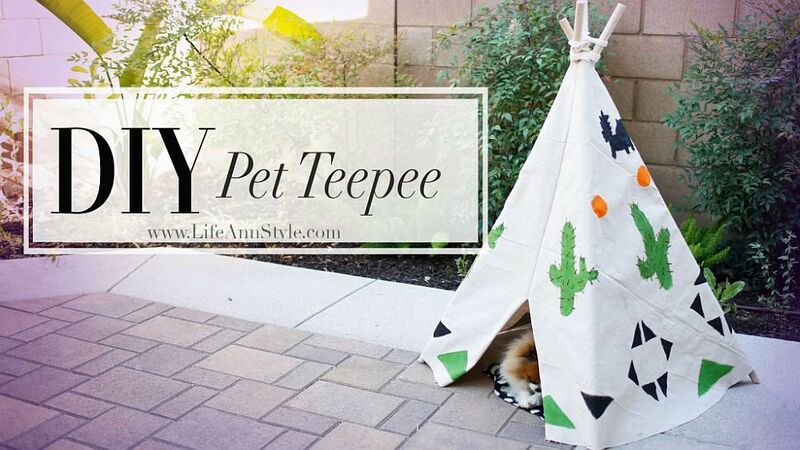 As you can imagine, most DIY teepees cost almost nothing as you can manage with stuff in your house. 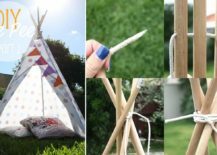 Even if you are going to the nearest store to buy a few of the supplies, nearly all the teepees showcased today would cost no more than $25 or $30 to craft. 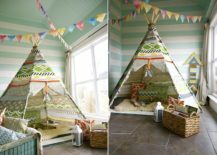 A DIY teepee is all about giving your kids a private little ‘zone’ where they feel safe, sheltered and have an opportunity to be themselves. 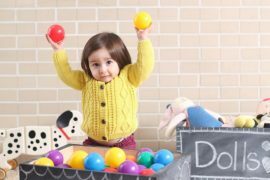 It also keeps them occupied as you get things done around the house. 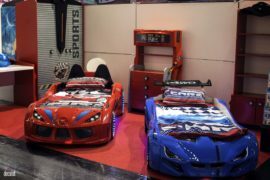 So, try one today and you will instantly see the wide smile on their face!